American Griot is an original play exploring the often overlooked history of early African Muslims forced into American slavery and the influence they had on what would become the American music genre known as the blues. Told through the lens of Mamadou, an 18th century griot (African storyteller musician), the audience is taken on a musical journey to the crossroads of Africa and America revealing the shared history of Islam and the blues on both continents. The 2019 world premiere is produced by Moraine Valley Community College through Silk Road Rising Theatre with generous support from the Doris Duke Charitable Foundation and APAP Association of Performing Arts Professionals. Moraine Valley Community College Academic Theater’s upcoming 2018-19 season includes the world premiere of “American Griot” by former Moraine Valley student Ronnie Malley, and Reginald Edmund, Feb. 21-March 3 at John and Angeline Oremus Theater as part of the Mosaics: Muslim Voices in America project. More info about the 2019 premier can be found here on our events page. Amplify Peace is a collaborative touring production featuring American artists from the diaspora of predominantly Muslim countries impacted by war. The multi-genre program includes artists Bassel & The Supernaturals (soul/funk), Kayem (hip-hop), Omar Offendum (spoken word) and Ronnie Malley (traditional Mid-Eastern). 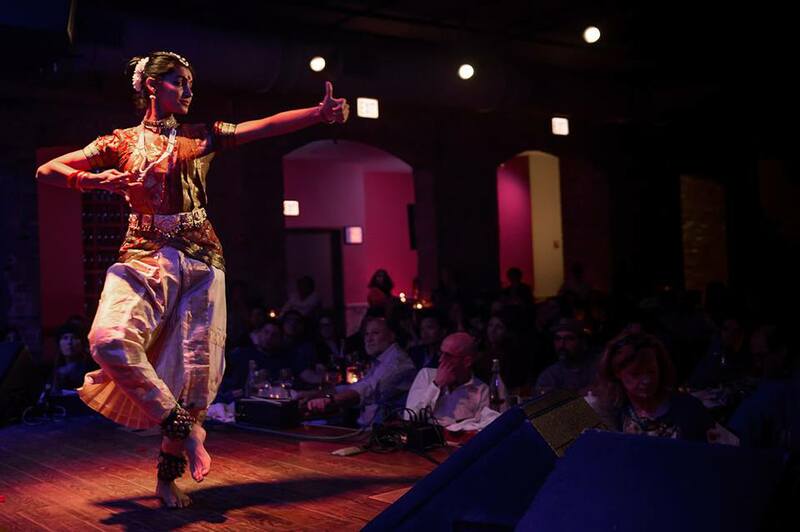 Through performance and educational workshops, these socially conscious artists raise awareness about issues affecting the US, Middle East, and the Muslim world. Amplify Peace originated from the success of a tour across the United States in October 2017. The tour was produced in partnership with Sukoon Creative and the Syrian American Medical Society (SAMS), including Syrian-American artists Omar Offendum and Bassel & The Supernaturals, Libyan-American hip-hop sensation Kayem, the traditional Middle Eastern sounds of Palestinian-American artist Ronnie Malley & The Turath Ensemble, and DJ Bella Loki. Highlights from the tour included a performance at the John F. Kennedy Center in Washington, D.C., the Arab American National Museum in Michigan, and a feature by the Associated Press. From Rajasthan, India to the Middle East to North Africa and across the Mediterranean into Andalusia, Spain, musical ideas and instruments were exchanged and have contributed to the foundation of Andalusian and flamenco music. Through music, dance, and storytelling, members of Las Guitarras de España and Surabhi Ensemble take to the trail and tell the tale of this shared cultural history from medieval Andalusia to the present. The performance includes original and traditional repertoire of Spanish guitar, Arab-Andalusian poetry and music, as well as Rajasthani, Middle Eastern, and flamenco folk music and dance. An Oasis Along The Silk Road - A caravanserai was an ancient motel, giving weary Silk Road travelers a safe place to park their camels, count their furs, and maybe even sip on some wine. Hot food, hand-washing stations, and live music were a must. Luckily for us, sans camels, Chicago has all those things, without having to experience the austere life styles of the vagabonds of yore. So, grab your headdress and gold coins, lace up your leggings, and join us for a night of music and dance that celebrates the weary traveler in all of us! 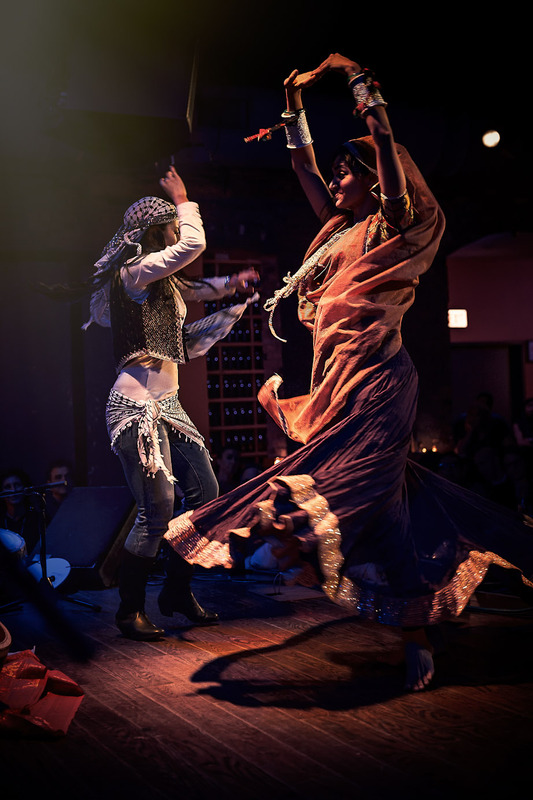 Join Lamajamal and guest performers for "Caravanserai" An Oasis Along The Silk Road. Lamajamal's music combines Middle Eastern and Balkan traditions with luscious, dubbed-out production and a rock band's sensibilities. Capable of dreamy, pensive soundscapes or raucous, jovial, party music, Lamajamal can take the listener all over the world, or just to the dance floor. Join Lamajamal and special guests for "Caravanserai" An Oasis Along The Silk Road. Special guest performances with local musicians and dancers. "Wala3at" is a series of Palestinian-Indigenous art, music, and dance sessions geared to creating a shared, transformative space for folks to build and share their histories of pain, joy, rage, and resistance. Sacramento Knoxx - Musician/Band, Cultural Worker, motion picture artist and Creative Director with The Aadizookaan. Ronnie Malley - Multi-instrumentalist musician, theatrical performer, producer, and educator.